Engage and support your customer simply sharing the amazing Nuvolar Playlists. Once you have created a Note Playlist, you can embed its URL link into any digital message. 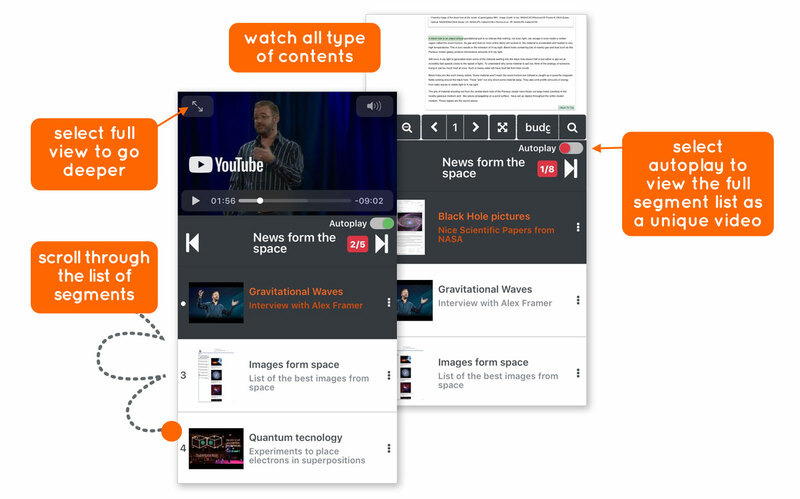 You will be able to share the Nuvolar Playlist URL with any digital channel. Let people enjoy your playlists with our adaptive player, it works on both desktop and mobile devices and does not require any APP installation. Everyone will be able to look at the document segments that you have selected, see the entire content and download it if enabled. 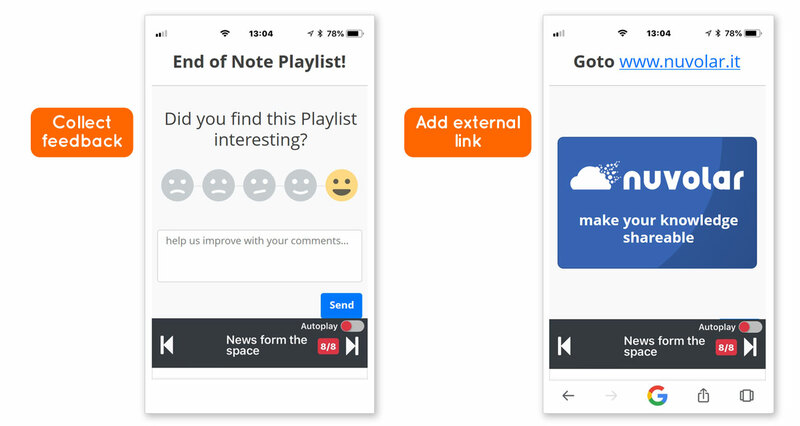 Gather feedbacks on your Note Playlist and add redirection to other favorite links.